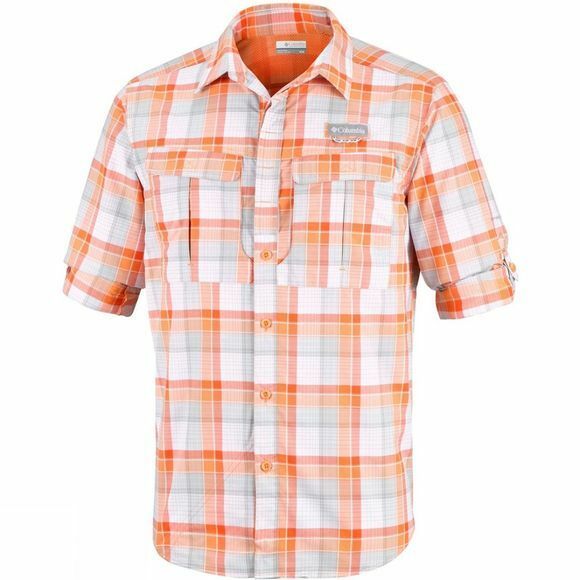 This timeless button–up Columbia shirt style is great for your next outdoor pursuits. 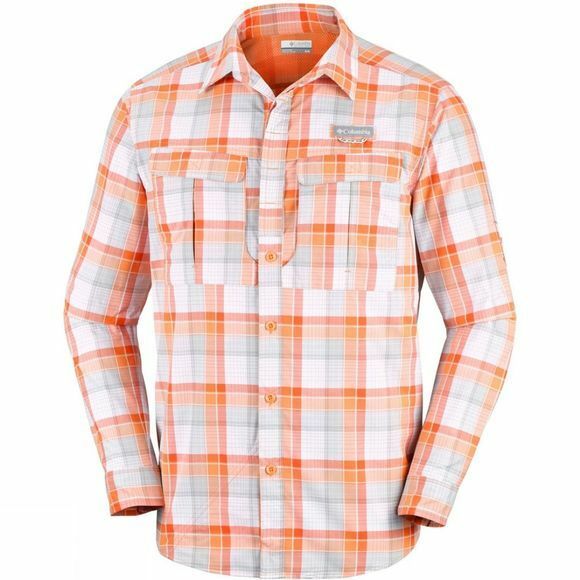 Featuring water resistant fabric with UPF 30 sun protection, the Mens Cascades Explorer Plaid Long Sleeve Shirt is great travel piece. With roll up sleeves, a sunglasses cleaning patch, multifunction pockets and a vented back panel, this shirt is as functional as it is comfortable.